This month we celebrate two of the most powerful and precious of all God’s gifts: prayer and motherhood. In honor of last week’s National Day of Prayer and this weekend’s Mother’s Day Celebration—it is my joy to offer you a special prayer that I believe will recharge your life and redirect your destiny. Click here for a fresh word to reboot your year and your future! Like the wise mother spoken of in Proverbs 31, you too can clothe yourself with strength, open your mouth with wisdom, and look forward to the future with joy. To that end, I challenge you for the next 30 days to not only listen to, but to actively receive from the impartation I’m offering in this powerful prayer downloaded from heaven! May is a month of new beginnings; it is a time of regeneration and rebirth—a time to call out and bring forth the beauty of His glory, the majesty of His greatness, and the unlimited potential God has seeded in you. I am reminded that in biblical numerology, five is the number of grace and favor—and this being the 5th month of the year makes it the perfect time to tap into the grace and favor of God. I declare that you will forever live under an open heaven! You must be proactive and diligent to look after the affairs of your life and your future. Rarely does success “just happen”—rather, you will find it where you’ve invested a great deal of focused intention, mindfulness, and prayer. Prayer, as we’ve seen throughout the Bible and in the lives of history’s great men and women, is the kingpin of success. Extraordinary history makers are formed through extraordinary prayer. And much of that extraordinary prayer has been put forth by ordinary mothers. There may be no prayer more powerful than that of a mother interceding on behalf of her child; certainly there is no prayer more broadly caring or deeply loving than that of a concerned mom. Christendom’s earliest history makers—from St. Augustine to Emperor Constantine, from Martin Luther to John and Charles Wesley—had mothers who were, at the time, famous for their lifestyle of fervent, intercessory prayer. Fathers of country and faith—from George Washington to Billy Graham—also had mothers who were instrumental in paving their destinies through the dedication of their faith-filled prayers. In honor of the world’s great mentors, servant leaders, and champions of prayer—all mothers everywhere—I encourage you to make this a time you rededicate yourself to prayer: As mothers have done throughout time, help make history by making prayer a priority. Take charge of your destiny by recharging your daily prayer practice. 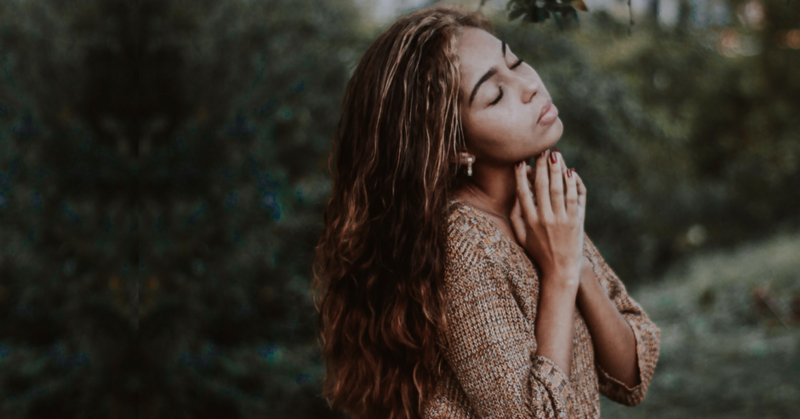 Whether you are a mother being celebrated, or simply celebrating your mother, now is the time to reboot your life—and possibly change history—through the power of prayer. …and that your life will forever reflect the shimmer of God’s glory and divinity. Help me celebrate you by downloading the free guided prayer and letting me know how it’s helped make history in your life. I champion the gift of God hidden in you! Let’s make history as we celebrate and honor Mother’s Day by maximizing our power to pray!